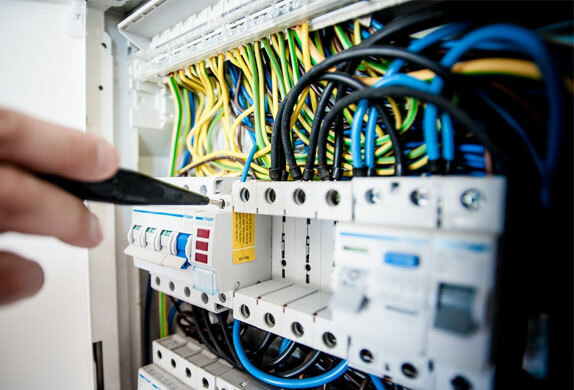 Enterprises today have highly complex technical challenges to solve. 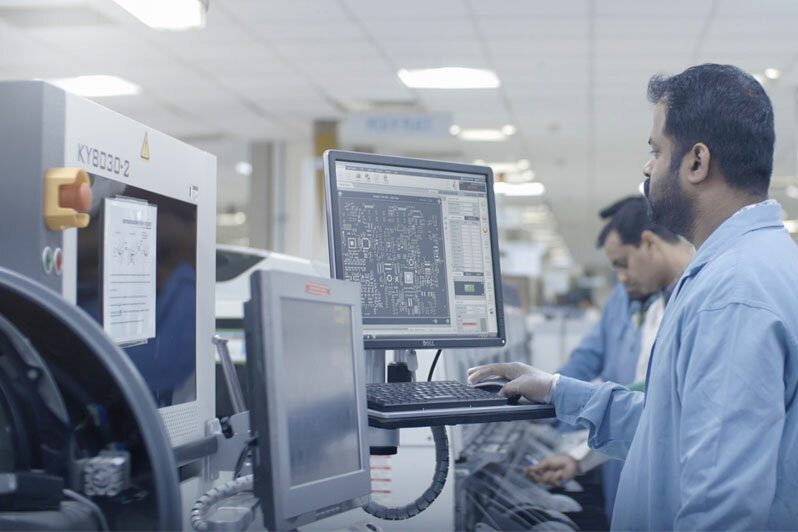 A keen understanding of the entire spectrum of technologies – across design, engineering and manufacturing – is critical to address the unique and constantly varying challenges faced by our OEM customers and end consumers. 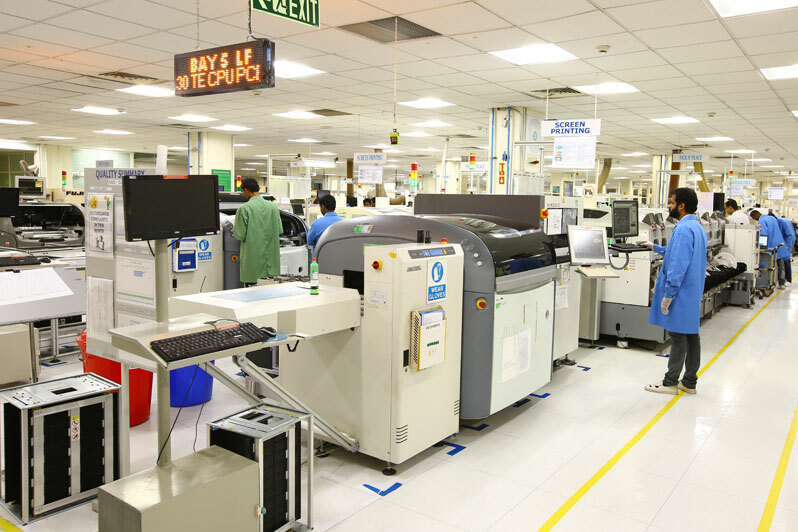 This is where SFO Technologies’ breadth of expertise in core technologies ranging from Electronics, Sheet Metal and Plastics, Precision Machining to Box-build provides the cutting edge differentiation for all of our customers. When nuances of advancements matter, SFO is the perfect partner. 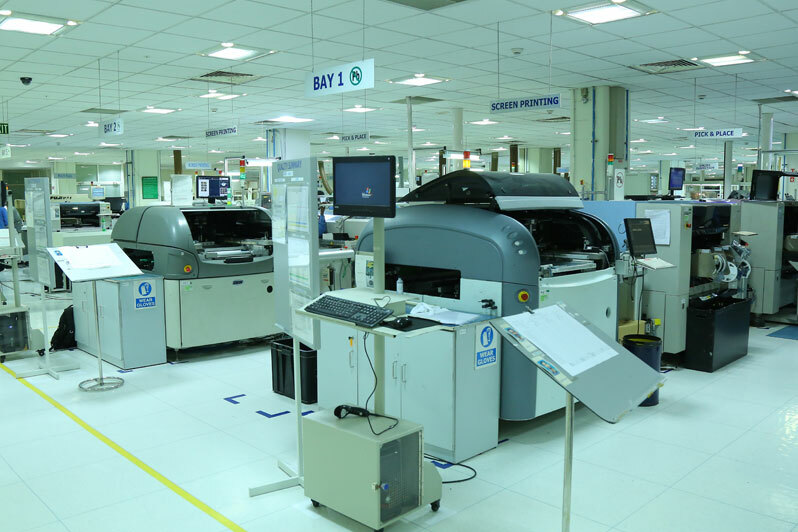 With our extensive knowledge of advanced digital hardware design, complex software algorithms and our expertise in manufacturing all types of PCBAs for mission-critical applications, SFO is perfectly placed to provide a suite of best in class services for our customers. 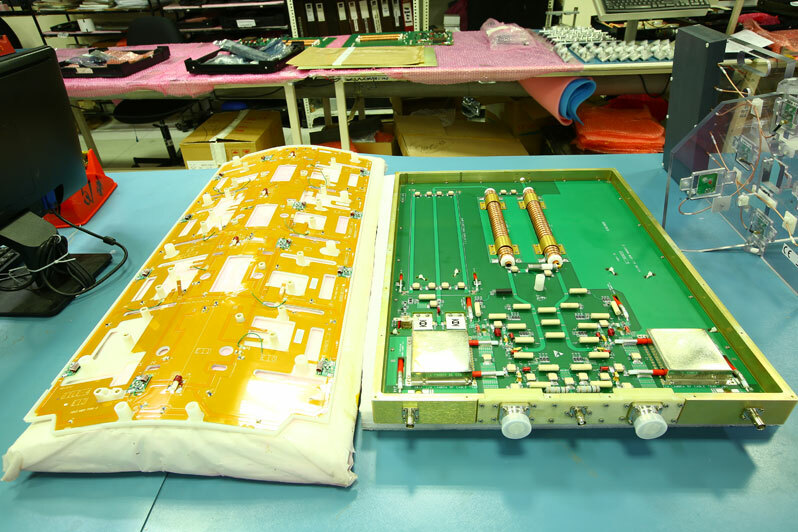 Power Supplies are mostly custom designed and built, so modifications at every stage of Concept to Build are always a part of the package. 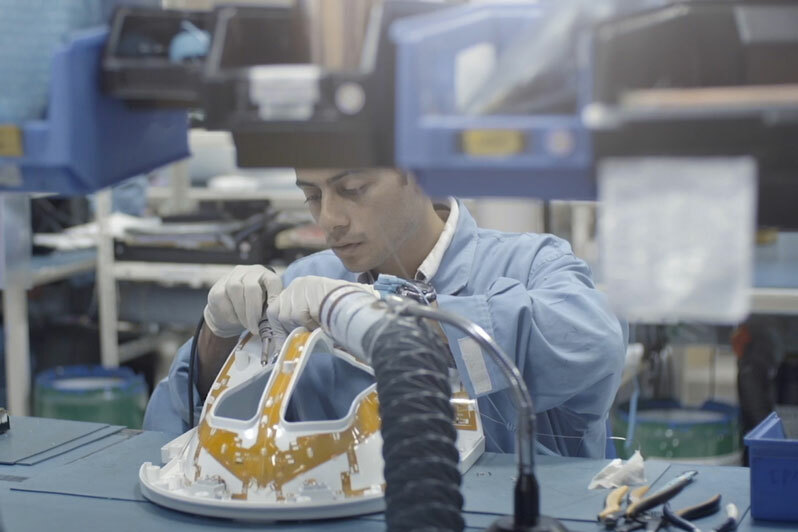 SFO engineers are known to support complex products for our customers while exceeding their expectations. 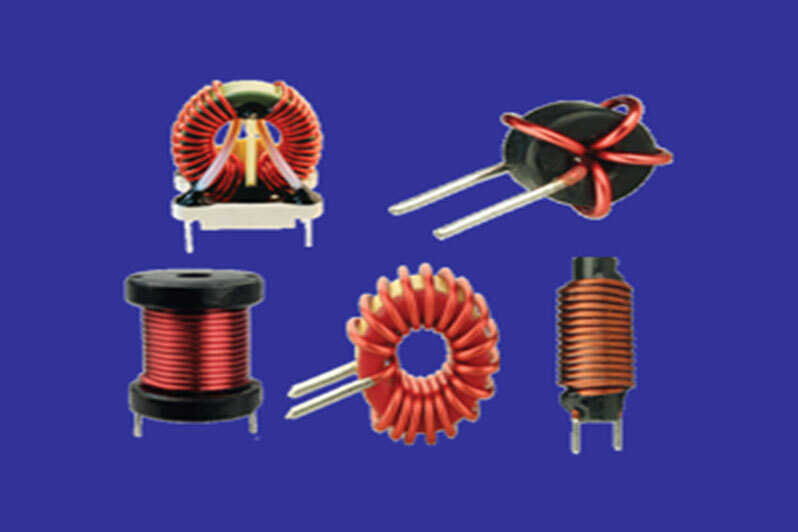 SFO designs and manufactures highly reliable, high efficiency, global safety approved custom power supplies, fan tray solutions and magnetic components like coils and transformers for filters. 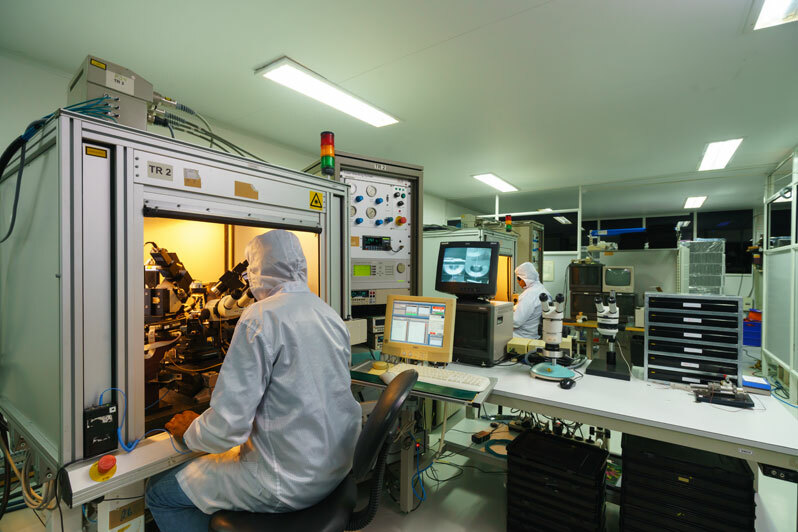 These products are supplied to mission-critical applications such as healthcare, Avionics, communication, process control and transportation where fault-tolerant power supplies decide the reliability of the equipment. 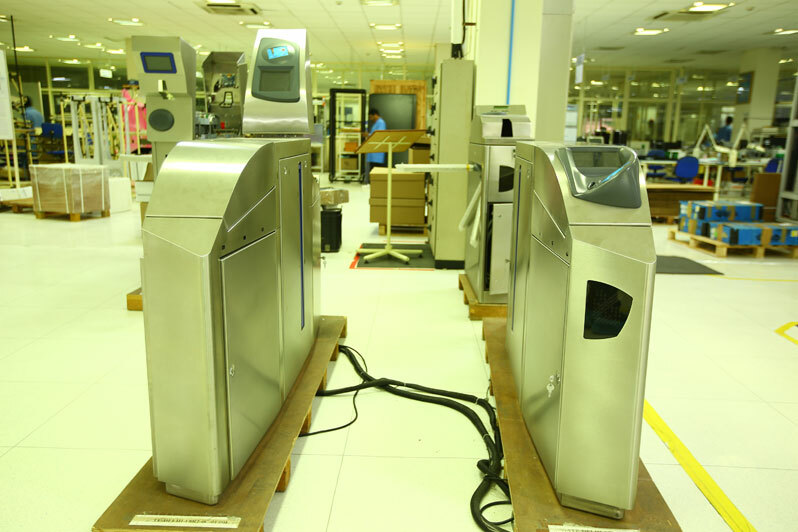 Latest simulation tools are used to get it first time right. 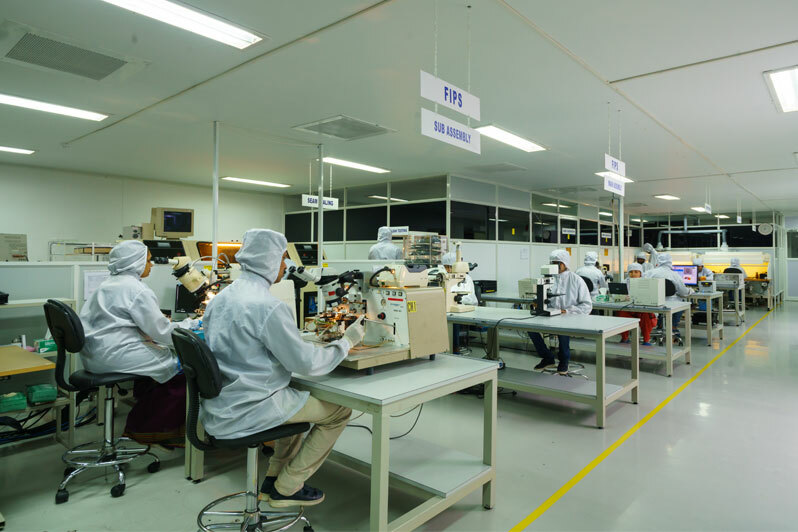 SFO engineering team is well experienced in a variety of power electronics designs of A.C-D.C, D.C-D.C and D.C- A.C with compact and, high efficiency, they can translate customer specifications into reliable products. 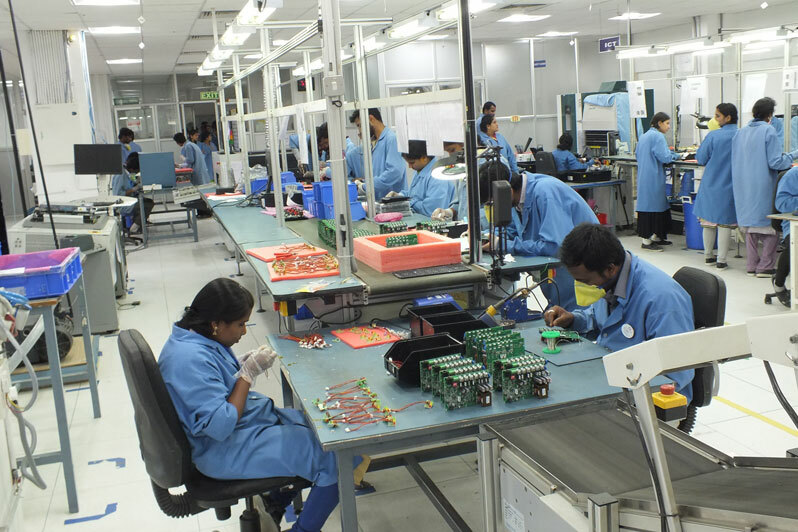 The manufacturing facility for power supplies is equipped with dedicated power supply testers, hi-pot testers, and burn-in chambers. 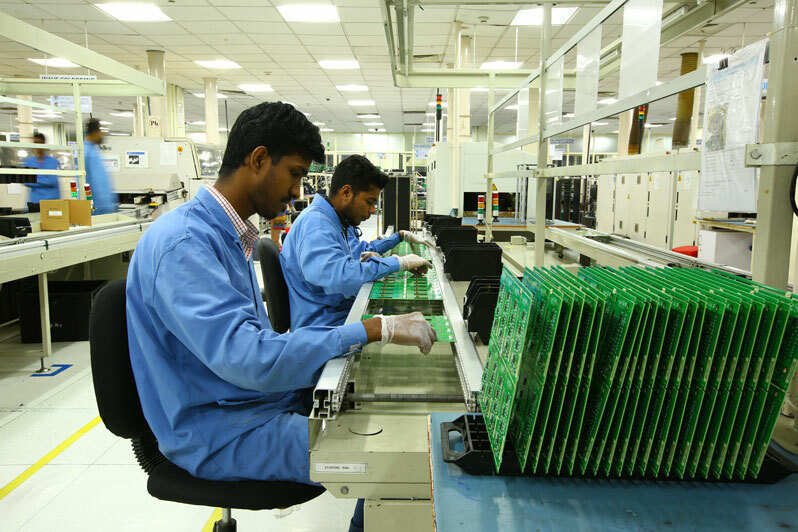 With our state-of-the-art labs, RF engineering expertise, DFX capability, creating custom test fixtures and software to verify end-of-line RF performance and proficiency in certifications make SFO a vendor with an end to end credentials to empower our customers to build the state of the art R&F products and solutions. 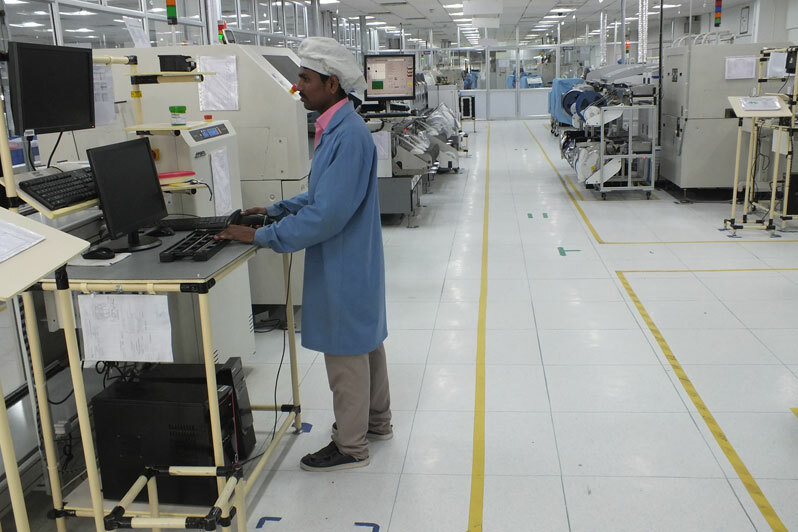 Manufacturing and testing of RF and wireless systems and sub systems in industries like medical, communication and industrial. 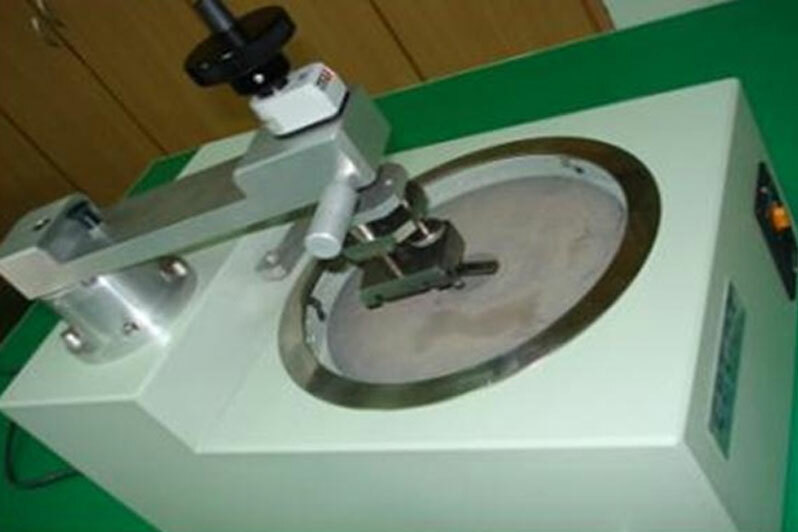 The products are manufactured and tested using skilled manpower with the stand alone instruments like vector Network Analyzer , Noise figure analyzer , Spectrum analyzer and Automated test setups. 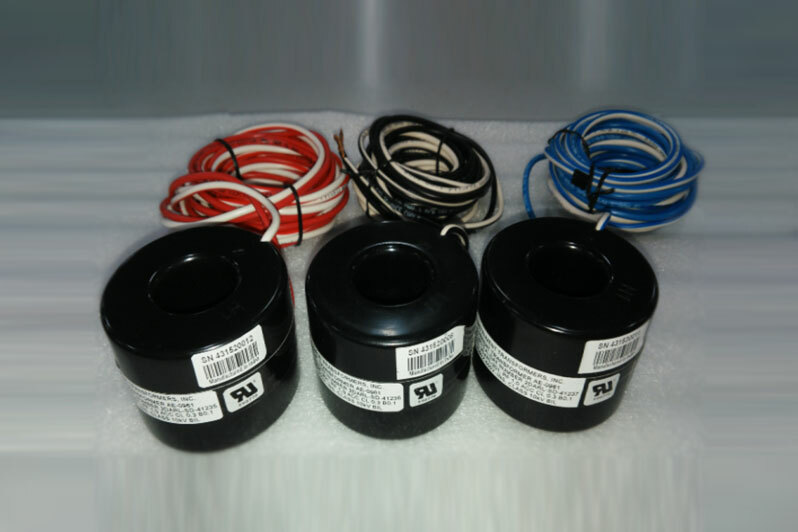 The products are used in critical applications and these systems are to be tuned to exact frequency with very narrow band of tolerances. 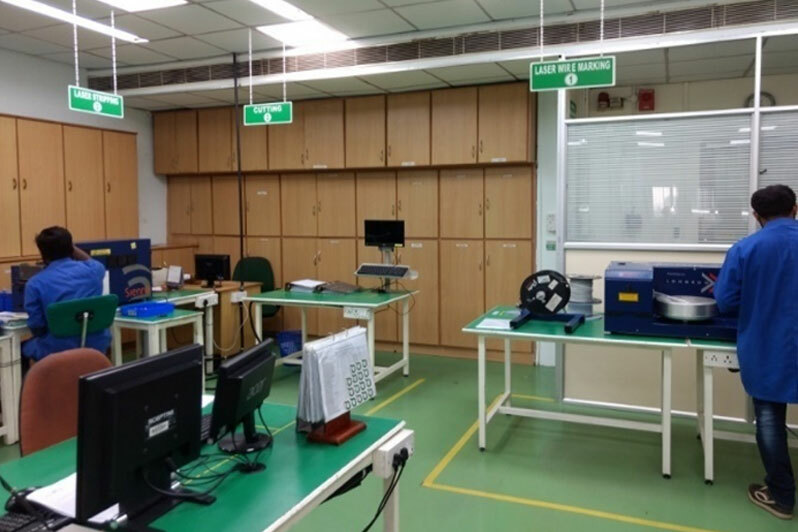 The products falls in a wide frequency range from 10 MHz to 2.5 GHz ,the medical products for critical diagnosis falls in the range for 10 MHz to 128 MHz and for communication up to 2.5 GHz. 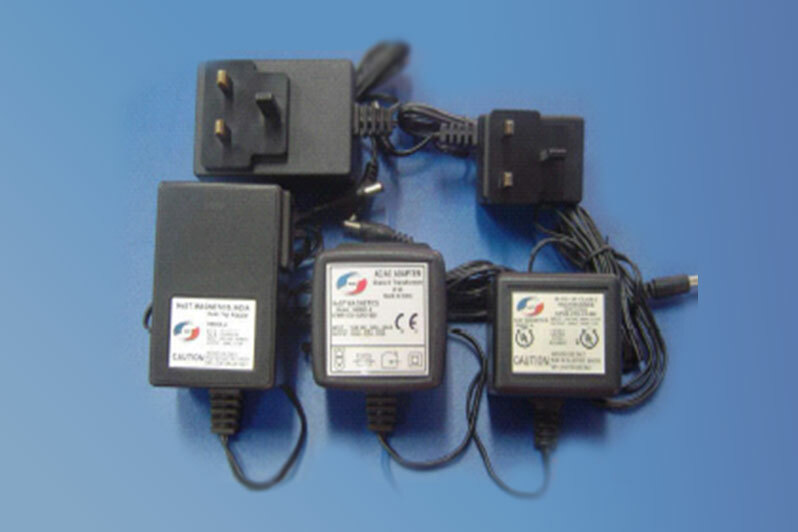 Products with latest technologies like RF ID , wifi (802.11 a/b/g/n)protocols ,Bluetooth and 4G. 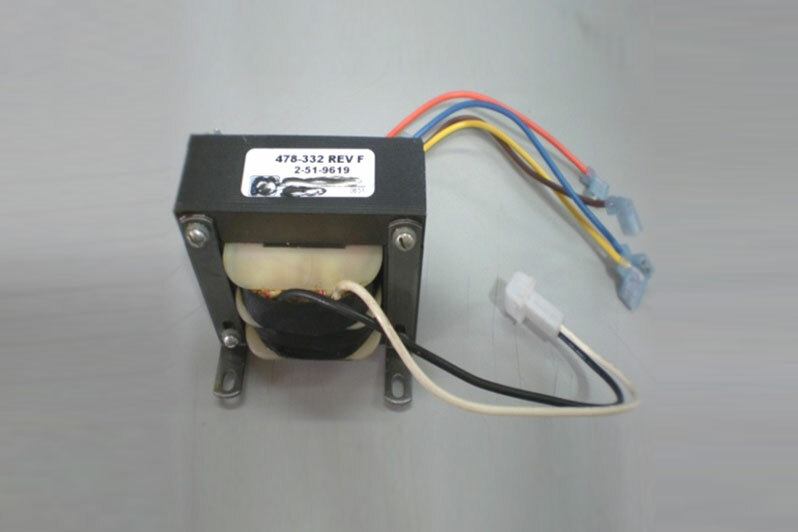 These system/Subsystems goes into critical Medical Diagnostic equipments , Power monitoring equipments, Fleet management solutions etc. 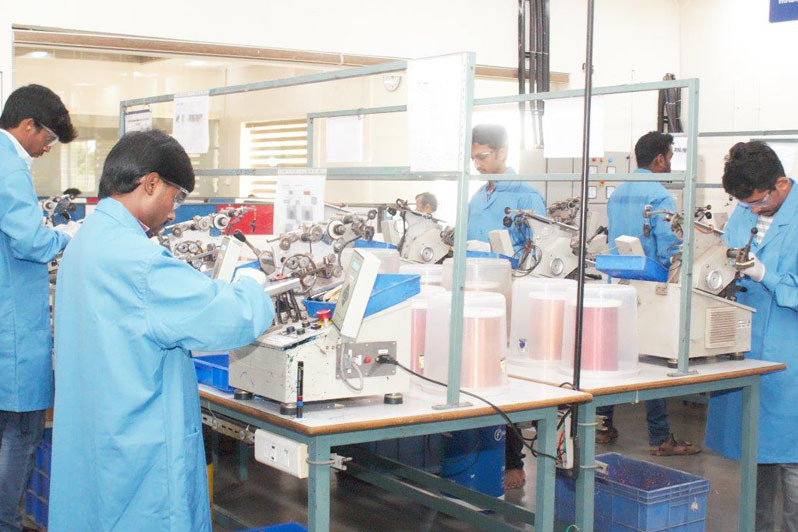 In Optronics, SFO can claim a pedigree of more than two decades in design and manufacture of fibre optics products and solutions. 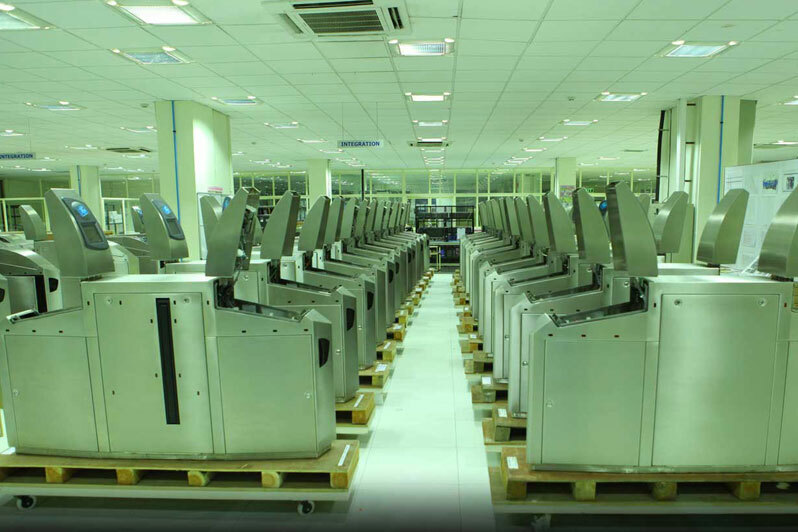 SFO is the pioneer in setting up the 30,000 sqft. 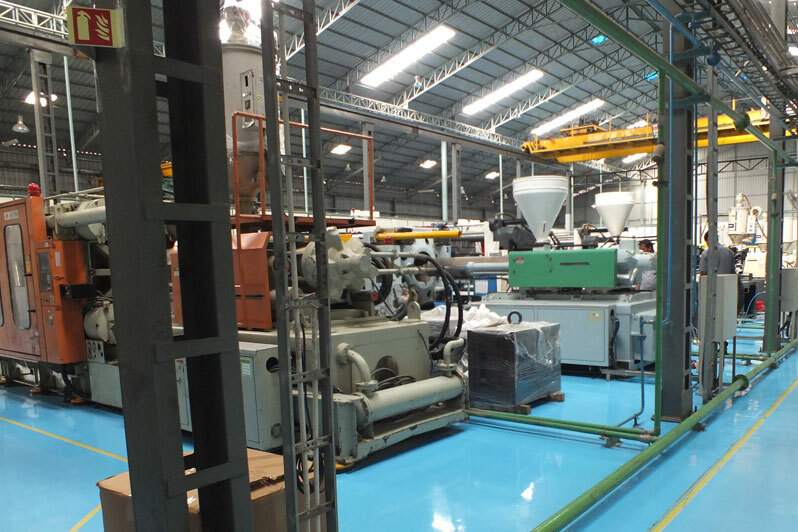 Manufacturing facility in fibre optics and photonics products 25 years ago. 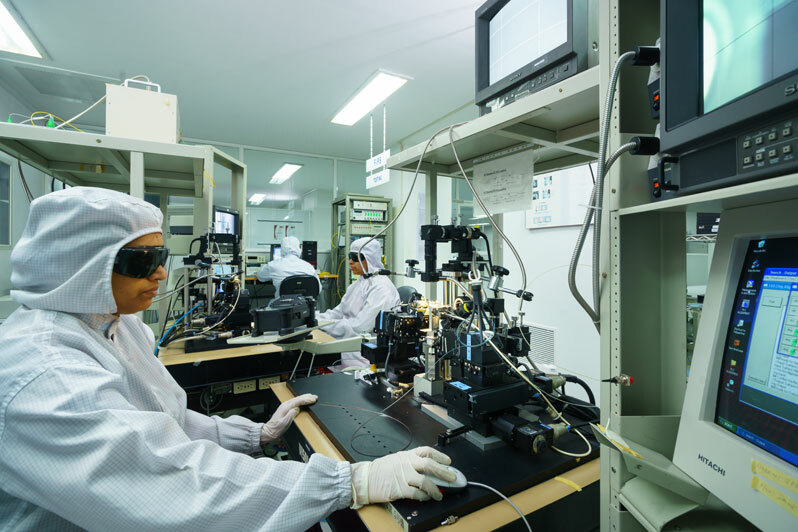 A high tech “Chip to System” facility with a class 10000 cleanroom certified for active & passive components manufacturing is a rare distinction for SFO. 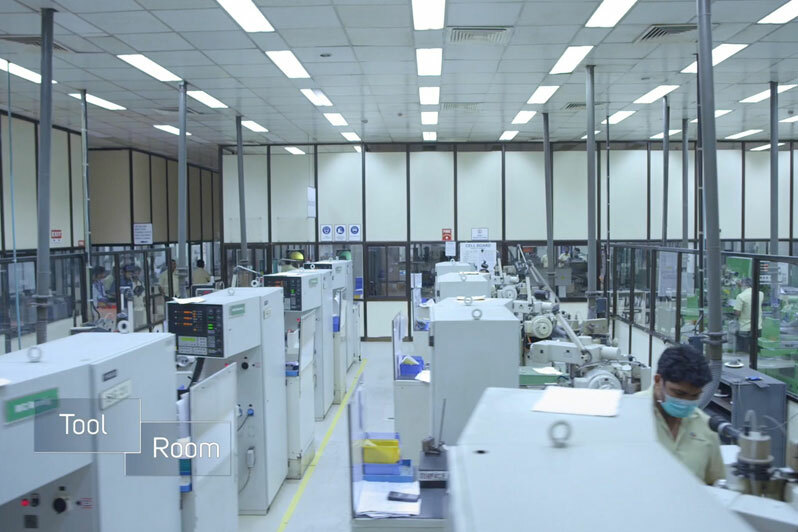 Our plant is capable of manufacturing and testing optical active products over 10 GHz. 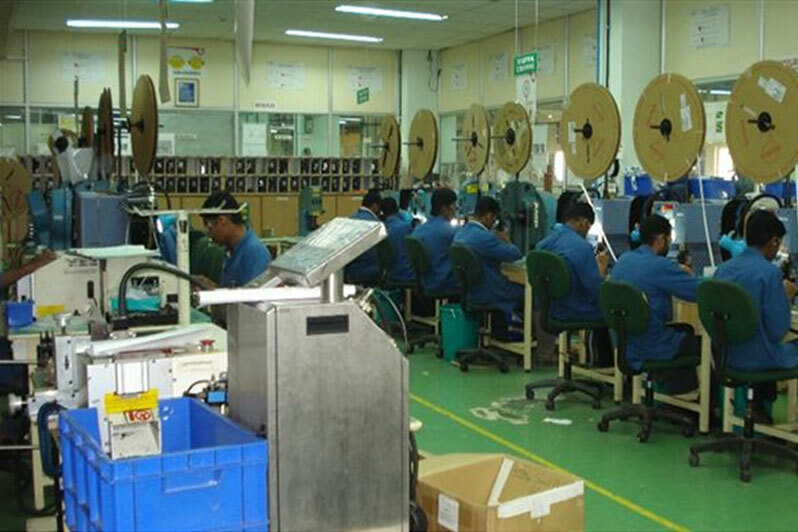 We have the expertise to offer niche products and solutions to companies across the globe. 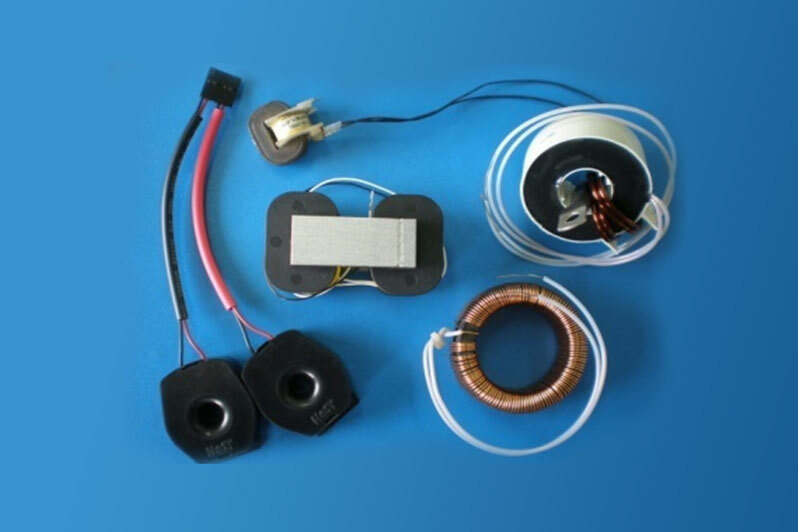 SFO designs and manufactures a variety of Magnetic components such as Transformers, Inductors, Chokes, Filters , Adapter Chargers, Power Supplies and Current Transformers for Metering & Control equipment. 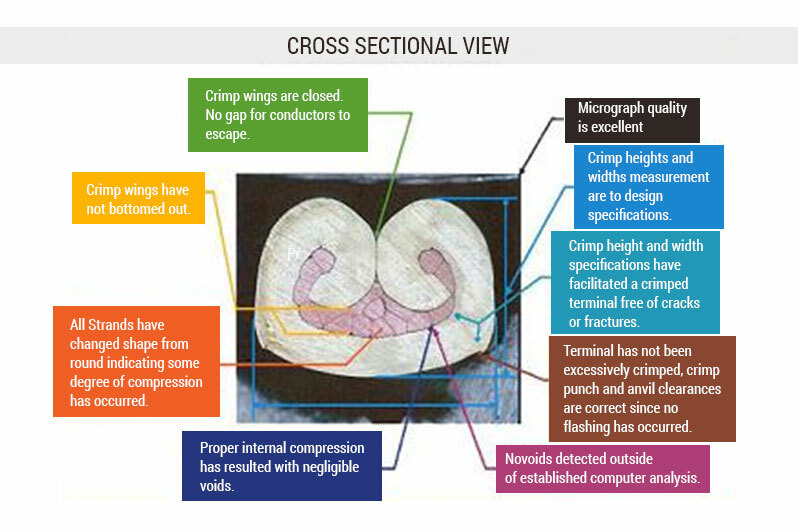 SFO also designs Magnetic products to customer given specifications. 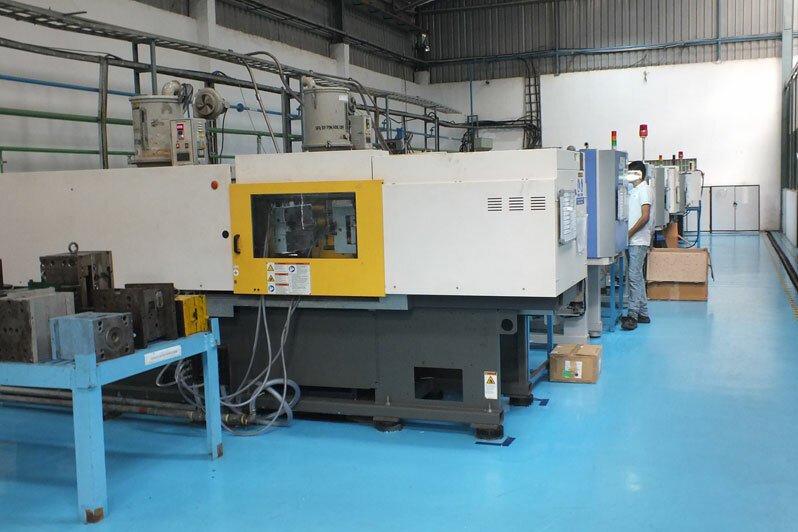 The manufacturing facility for Magnetics is well equipped with Semi-automatic / Automatic Single Spindle and Multi Spindle Winding Machines, Ultrasonic Splicing, Tig Welding, Lamination Stacking, Automatic Wire Cut & Strip Machine, Vacuum Impregnation Chamber, Baking Ovens and state-of-the-art Test equipment including product specific Automated Test Systems. 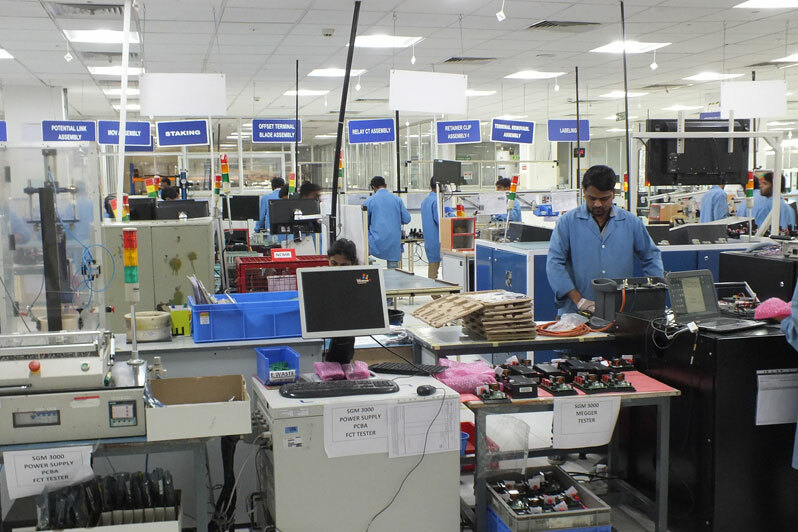 The facility is located in Cochin, catering to all industry verticals like Healthcare, Industrial, Energy and Telecom sectors. 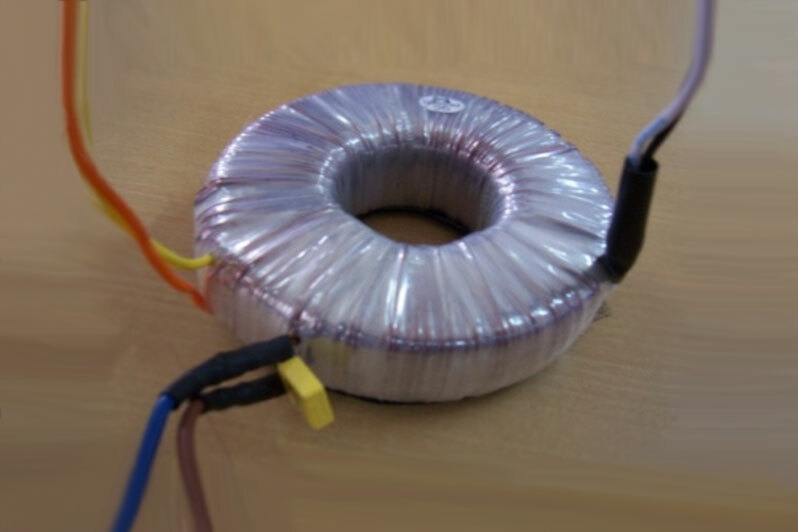 Range of products include Power Transformers, Current Transformers and HF Transformers & Inductors complying with international standards. 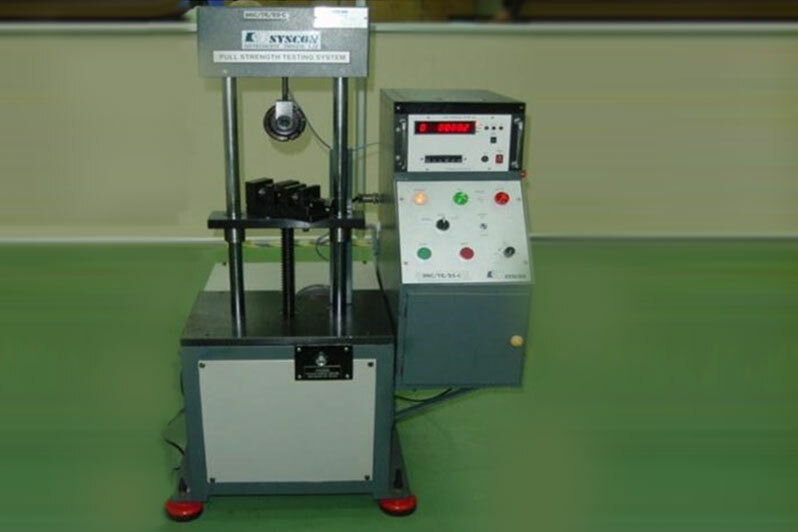 Winding Wire ranging from 0.05mm to 3.5mm diameter. 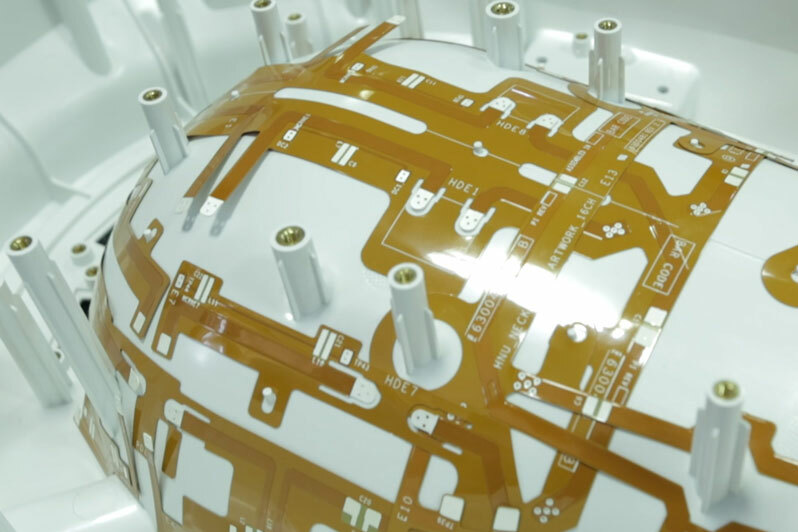 An increasingly complex orchestration of space and weight-saving wiring and harnessing schemes is regarded as an art today. 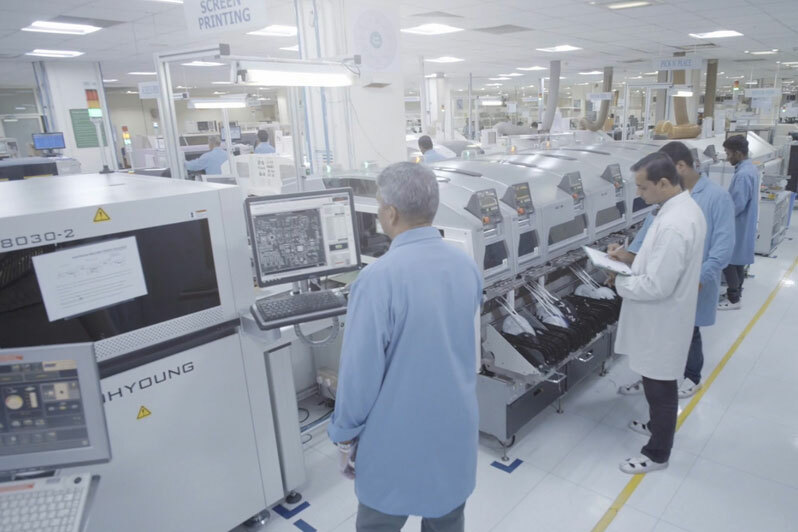 Our advanced systems engineering expertise, tools, and platforms enable us to add innovative edge to the ever-increasing demands for nimble designs. 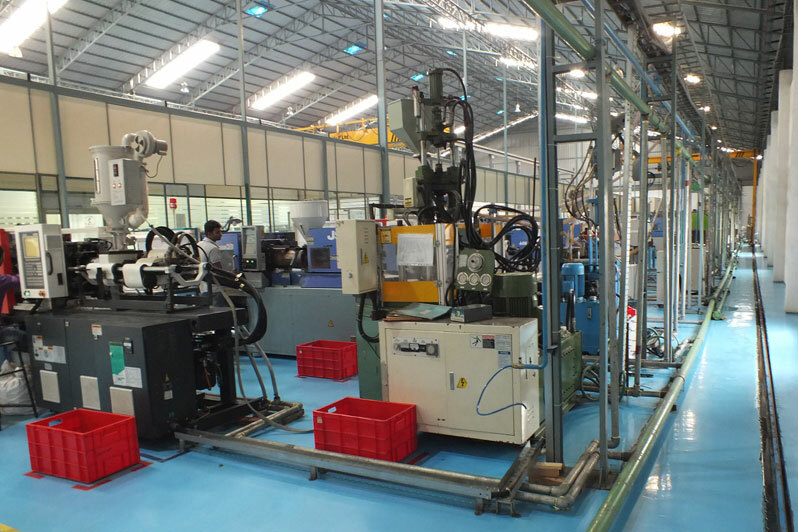 Getting it manufactured in our vertically integrated best in class Plant ensures total satisfaction for our customers. 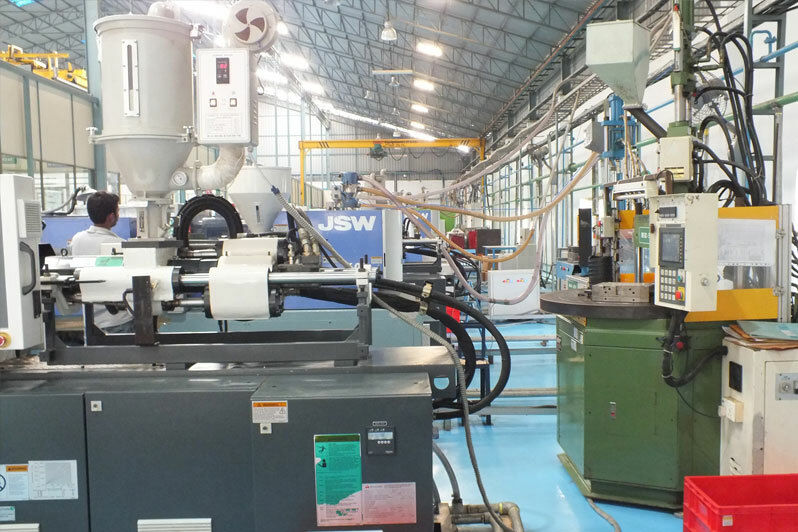 SFO maintains an integrated manufacturing facility for custom wire harnessing and over-moulding which is equipped with automatic wire stripping, cutting, crimping, soldering, laser stripping and cross-section analysis of equipment and test facilities, along with the capability to economically fabricate moulds and fixtures with minimum lead time. 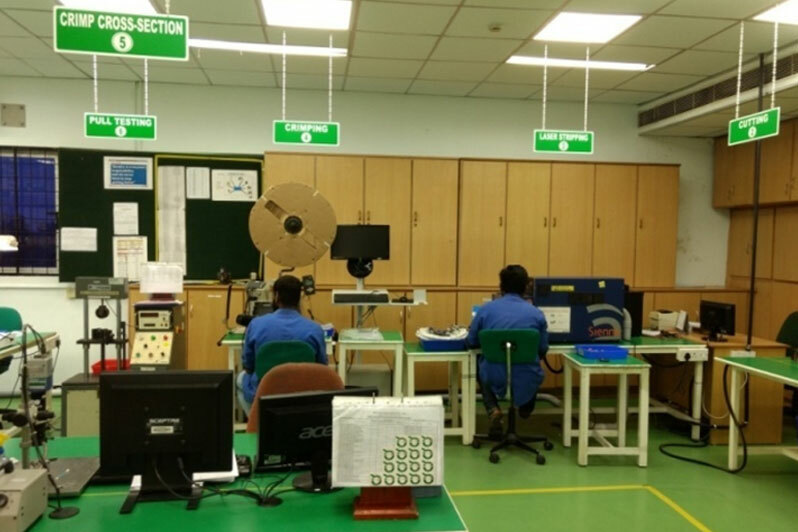 At SFO there is also a wide range of test instruments, state-of-the-art reliability test facilities and a programmable functional test capability. 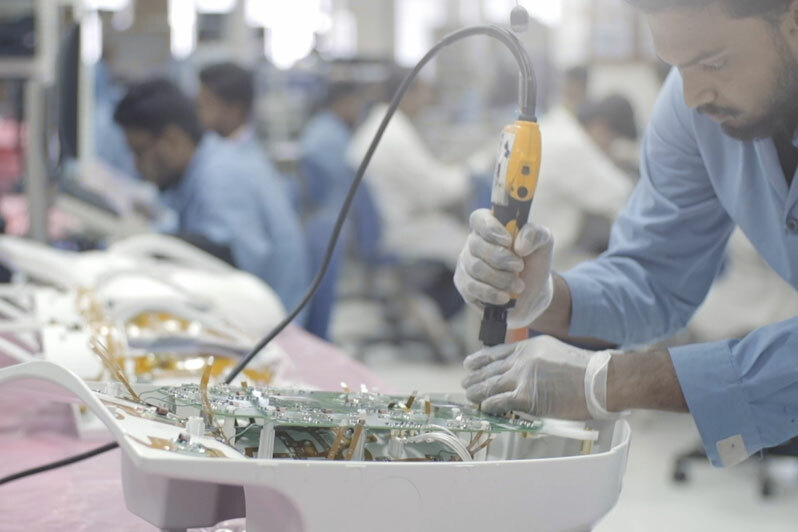 SFO provides cable assemblies and also provide FRC assemblies, RF & coaxial cable assemblies, HV cable assemblies and socket assemblies for applications required by almost all major industries. SFO has a 26,000 sqft. 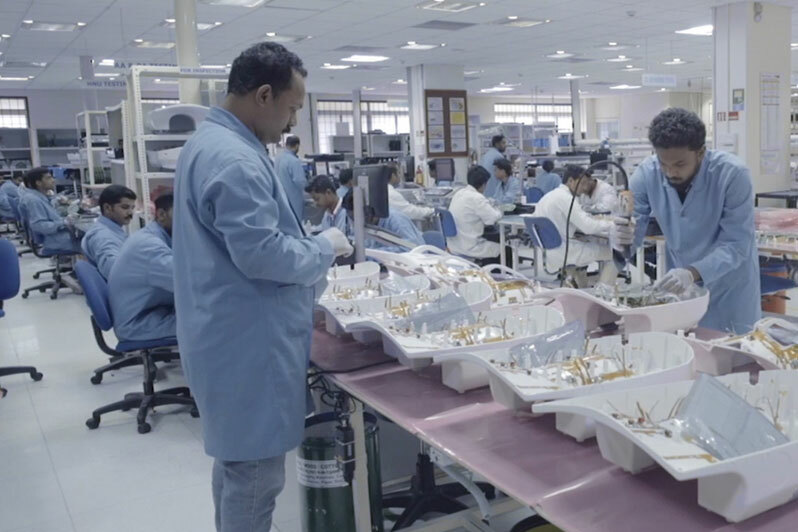 manufacturing facility for custom Cable and Wire Harness in Kochi catering to cross-industry products from Aerospace applications, Oil & Gas, Healthcare, Transportation, Industrial and Automotive sectors. 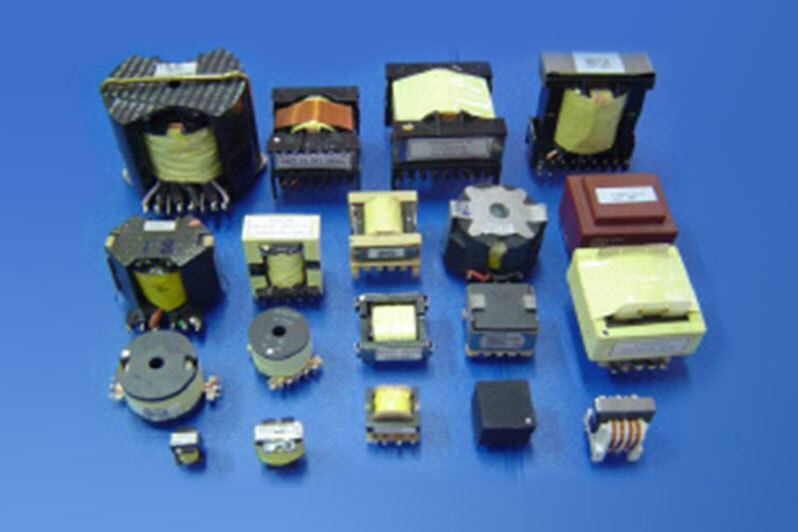 Our products are flying on major Airlines and also used for ruggedized Defence applications. 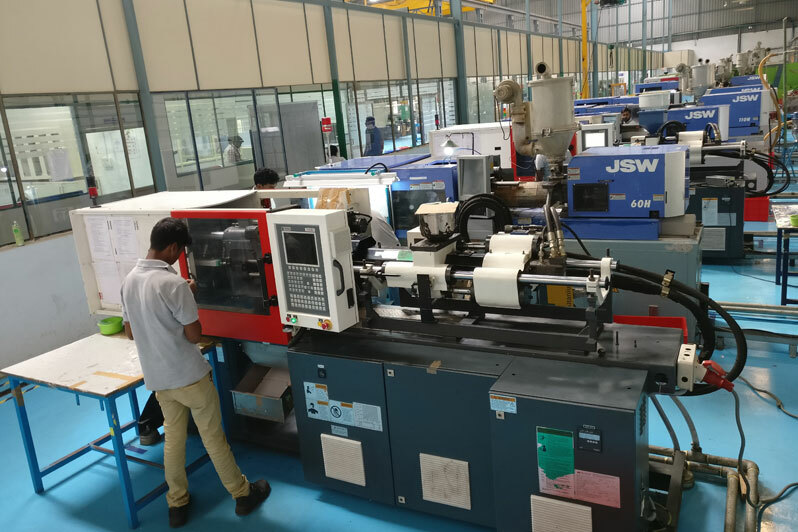 High precision engineered components require tools which maintain accuracy, quality, production efficiency and cost-effectiveness to keep pace with the increasingly stringent production objectives of customers. 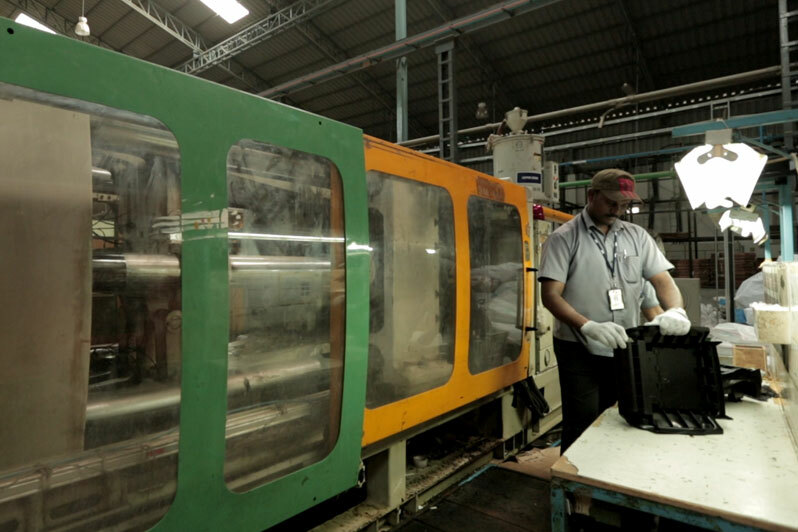 Equipped with latest precision machines and inspection equipment, we ensure that our tooling will be dimensionally ‘Right First Time’. 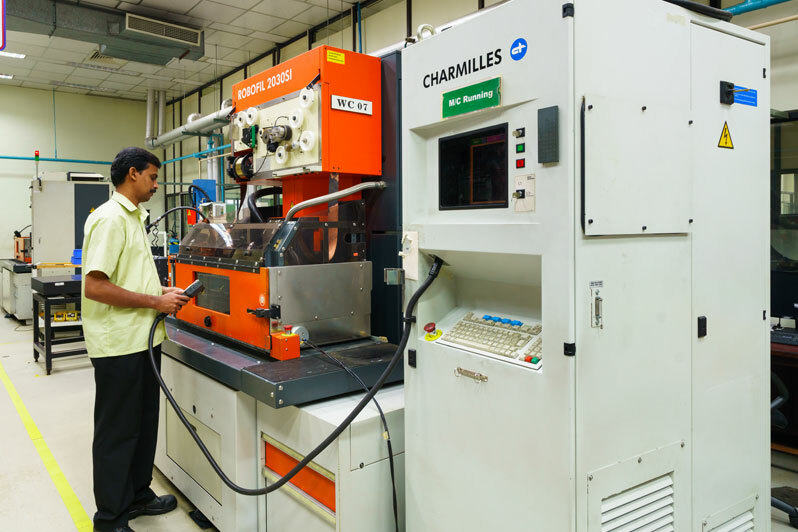 SFO possesses a world-class facility for all types of precision tooling. 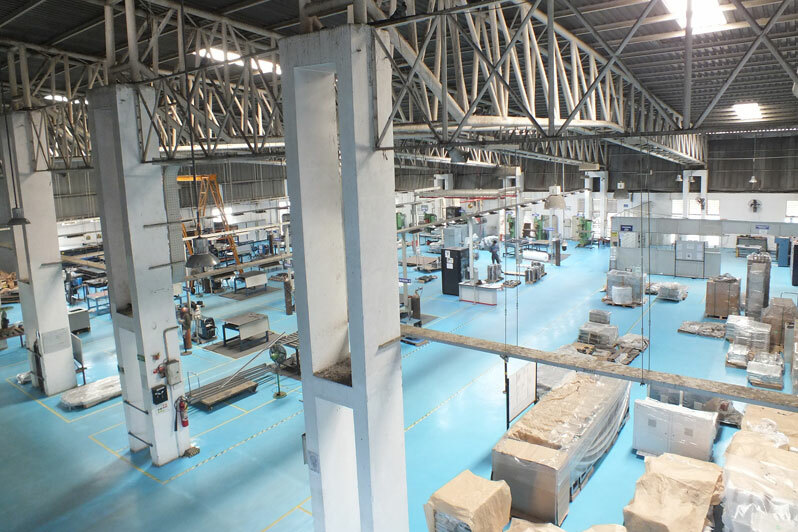 The plant has an operational capacity for 30,000 machining hours per month and a manufacturing capacity for 100 moulds/dies per year. 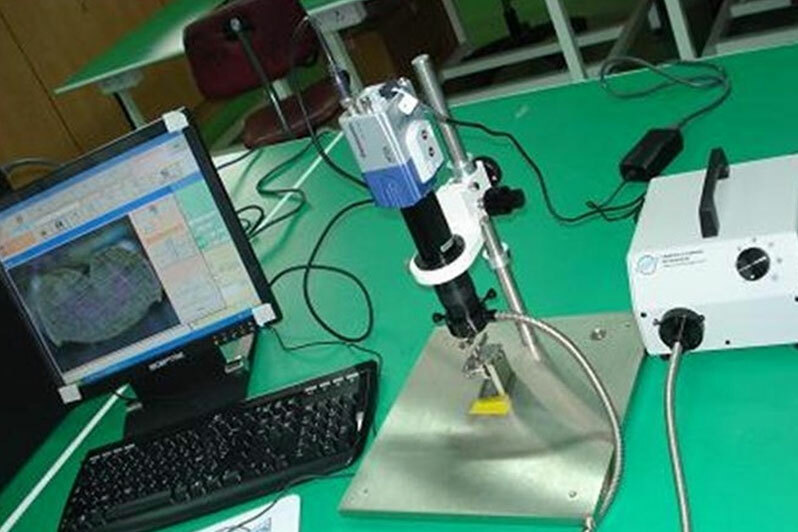 The tool room is fully equipped to conduct mould flow analysis and high precision testing with an aim to ensure the highest quality of all products. 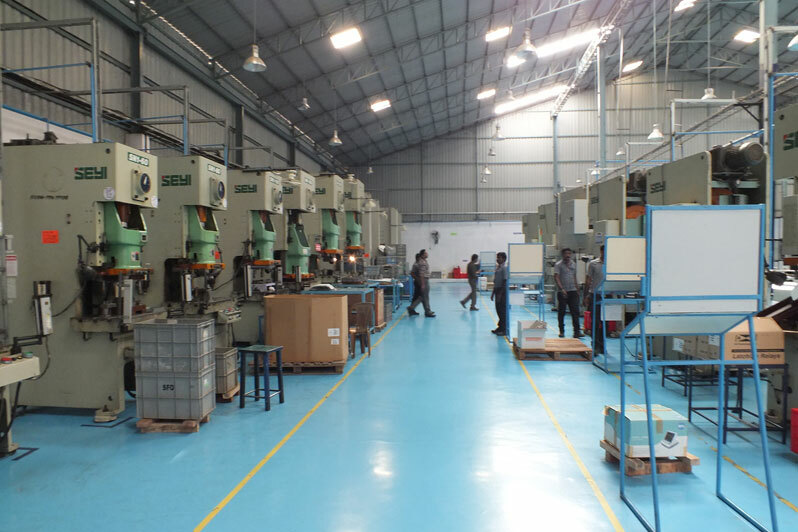 The precision tool room in Kochi is equipped to produce high precision components, precision moulds and stamping dies. 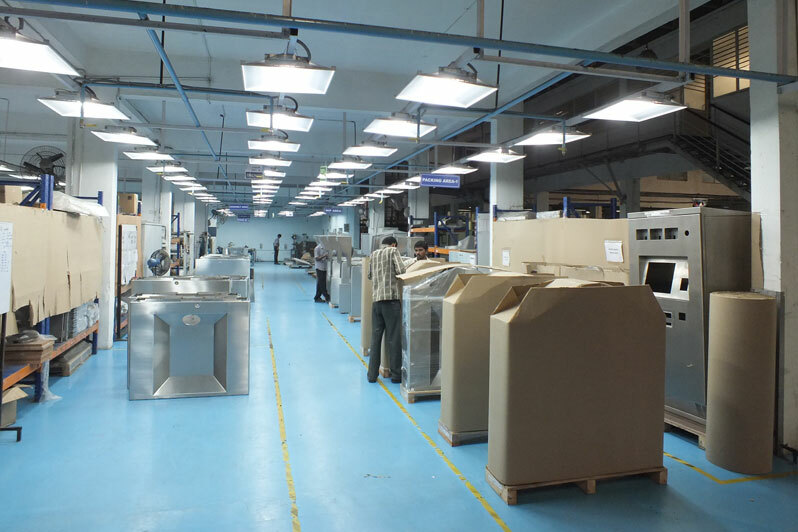 The right equipment, personnel and technology to design, fabricate and assemble quality sheet metal parts to product specific requirements is the forte of SFO. 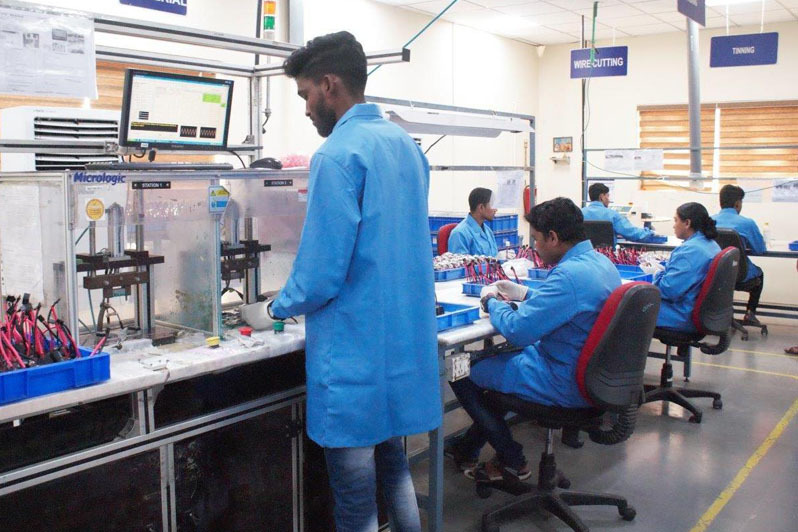 Reduction in product development cycle is achieved by SFO engineers as they concentrate on manufacturing processes during the design stage itself. 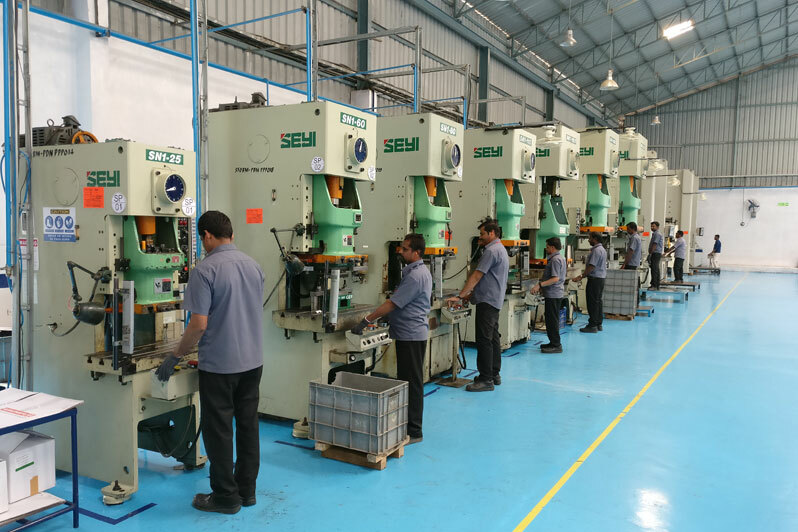 SFO’s stamping division is having 18 mechanical presses ranging from 25T to 250T, double crank presses from Komastu and Seyi capable of precision volume production parts. 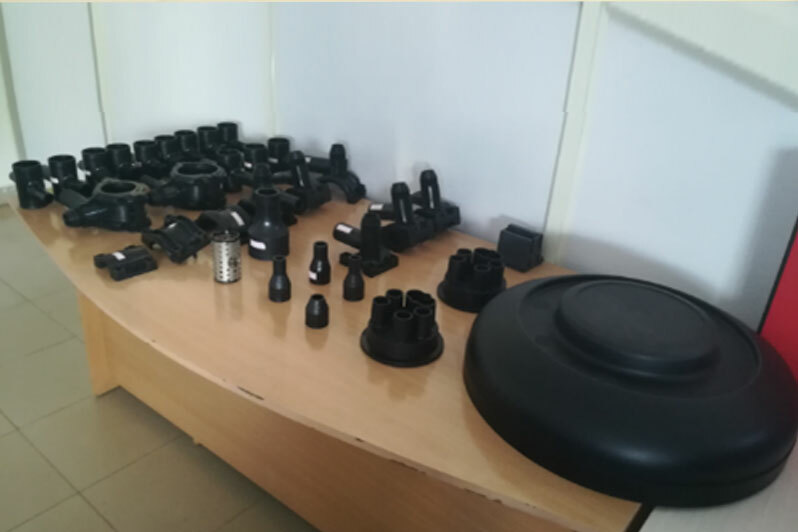 Material from CRCA, SS, Cu, Brass, Aluminium etc. 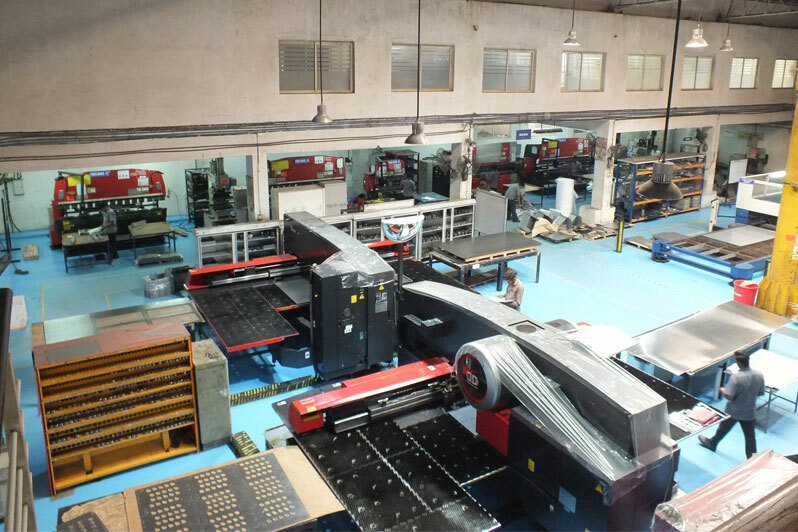 SFO’s integrated sheet metal & stamping plants in Bangalore specialize in manufacturing mechanical components and subassemblies for global customers. 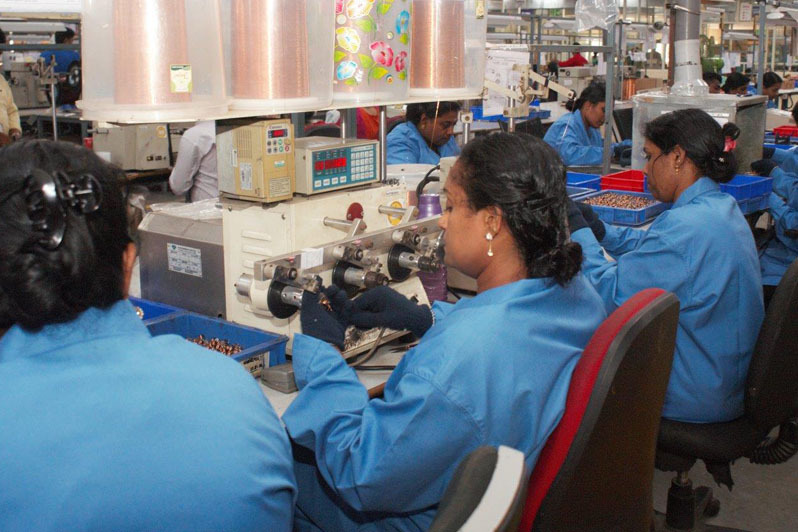 The plants have in-house engineering, NPI and tool maintenance team. 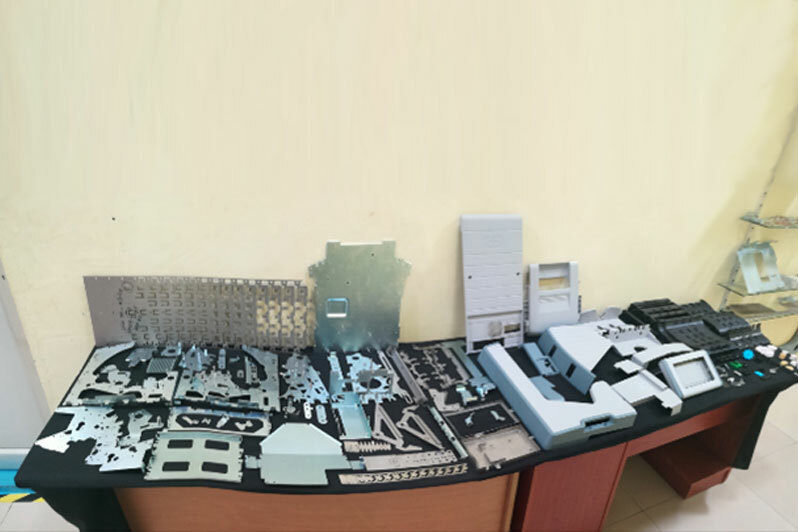 When presented with the challenge of producing plastic parts with a high level of precision, we have adopted a collaborative effort between the part designer and the tool designer to include ideas and inputs at the early stages of development itself, which would resolve design and production issues (involving aesthetics, functionality or optimization) at later stages. 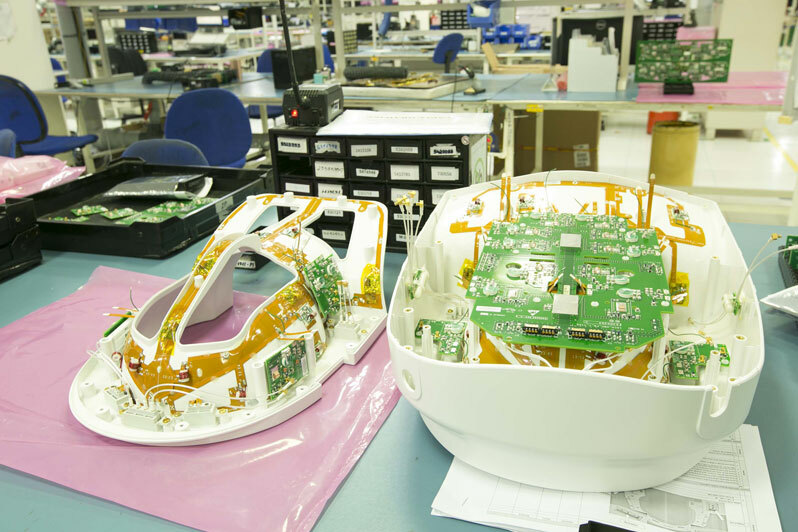 Unique expert cooperation is managed to bring out defect-free product during the entire concept to build cycle. 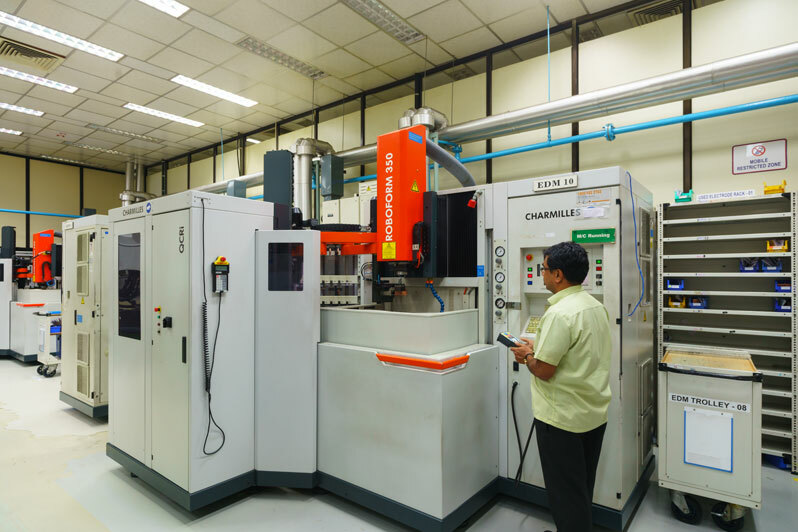 SFO has an integrated plastic injection moulding facility capable of producing precision plastic parts and products using a variety of raw materials. 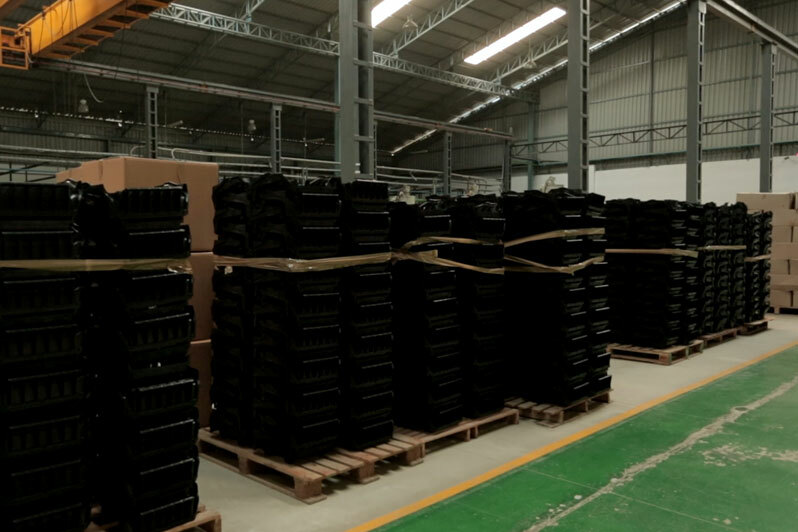 SFO’s plastic injection moulding experience includes plastic enclosures for smart energy meter, automotive vehicles, medical equipment and precision plastic parts for ATM machines. 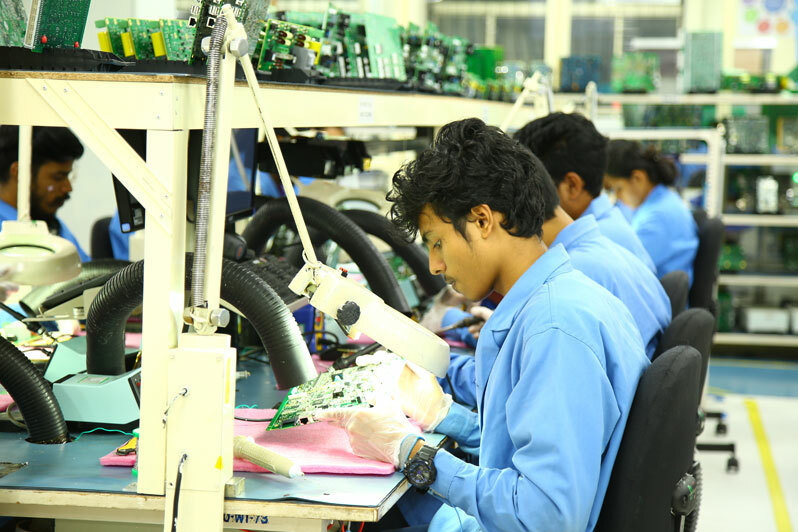 Accomplishing complete Box Builds, starting from the Bill of Material (BOM) and drawings to assembling of the electronics, mechanics and system level assembly, software loading and product configuration including functional testing and packaging is a competence demonstrated clearly by SFO across a variety of domains. 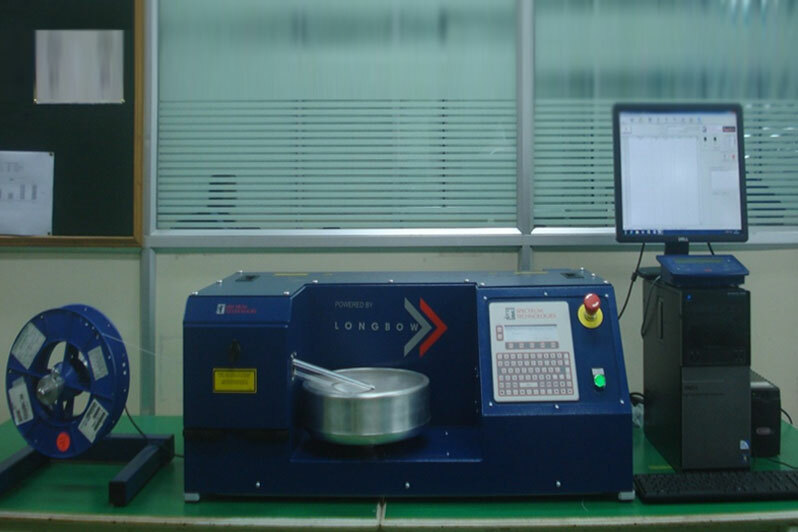 In order to build, assemble and test HLAs and Box builds, SFO has developed the capability for engineering, software development, procurement, assembly, integration, testing and compliance to international standards by third-party agencies.